It’s not just the yummy yarn, it’s not just the perfect colour I happened to be looking for, Fifikins has a really good business idea that I can get behind. Her yarns are dyed using the tropical Australian sun in Northern Queensland, hence the name Solar Flair Fibres. 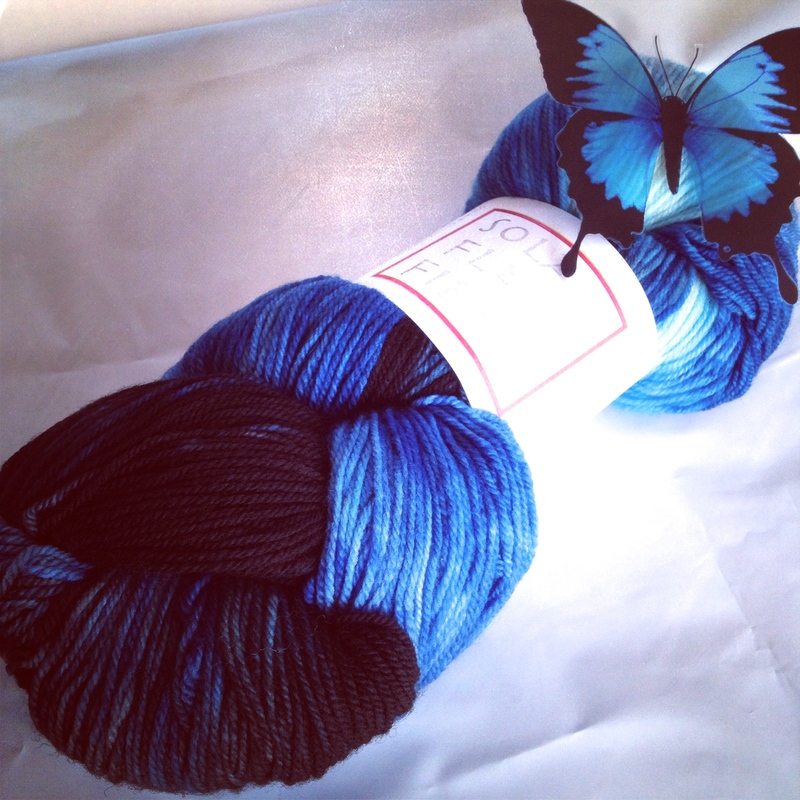 The skein shown is in the Sol base, 100% Merino, 490 yards/448 M, 100 grams in the colour Ulysses. There is a nice variety of lovely sun-dyed yarns to choose from on her Etsy shop…check it out! Don’t forget to watch her podcast, A Down Under Yarn.